BSER 8th Class Results: Rajasthan’s governing body for secondary education, Rajasthan Board of Secondary Education has announced the results for class 8th examinations yesterday. The results are available to download and view on the official website. The students studying in schools in Rajasthan can check their results online. The Board of Secondary Education (BSER) is the primary governing body for school level results in the state. Constituted in 1957, BSER holds up primary responsibility for conducting the examinations and providing the results thereof. Earlier, only secondary and senior secondary level results could be checked online but now the board has expanded to governing the 8th standard results also. The students studying in the 8th class were waiting for their results from past month. Schools affiliated to RBSE for the studies will be responsible to give marksheet to the students. Although the results could be checked online. More than 40 thousand students has appeared in the examination. The checking was done according to the parameters of board. 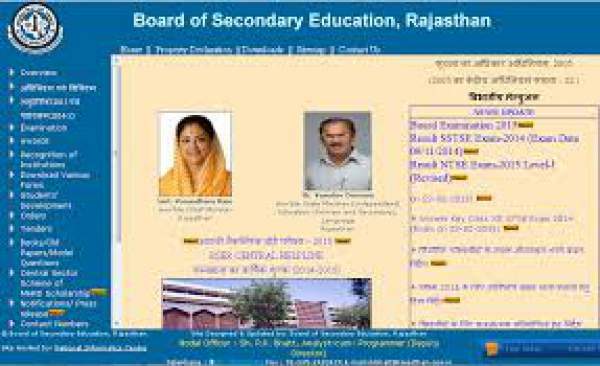 Process of revaluation will be available soon on RBSE (Rajasthan Board of Secondary Education) official website very soon. Its expected that the board will also allow to submit revaluation request from the website itself. Compartment exams will be conducted later the following month.